AMD is now ahead of NVIDIA when it comes to graphics cards, and they aim to keep up the pressure by rolling out the ATI Radeon HD 5670 graphics card which is their latest effort to the first and only graphics card line in the world that supports Microsoft’s DirectX 11 gaming and computing standard. Well, apart from getting faster graphics and superior performance, what are the other innovations that one can expect? We are looking at new innovations including ATI Eyefinity technology, and with it retailing for under a Benjamin (yes, can you believe your eyes/ears? 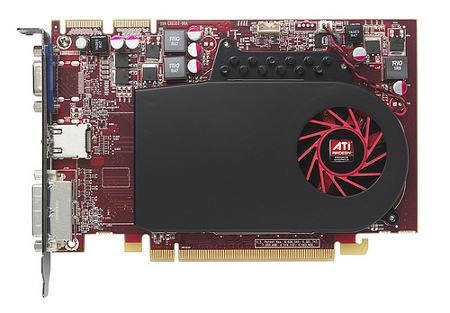 ), the ATI Radeon HD 5670 graphics card allows you to enjoy a superior HD gaming experience especially with the latest DirectX 11 titles, while video playback and productivity applications also get a boost thanks to their ATI Stream technology that will make your Windows 7 experience a pleasant one. To get an idea on just how much of a performance freak this card, its, the ATI Radeon HD 5670 is capable of delivering up to 620 GigaFLOPS of compute power and with the use of GDDR5 memory, it also rolls out unprecedented gaming performance for the best bang for your buck during these economically trying times. You will be able to smile the next time you fire up the following DirectX 11 titles – Codemaster’s Colin McRae: DiRT 2, EA Phenomic’s BattleForge , GSC Game World’s S.T.A.L.K.E.R: Call of Pripyat and Battlefield: Bad Company 2. Needless to say, this forward-looking graphics card does not forget about the past as well since it is full well capable of supporting DirectX 9, DirectX 10, DirectX 10.1 and OpenGL titles. Some of the more popular titles today proved to run over 20% faster compared to its closest competition, although those were under AMD’s terms of engagement.